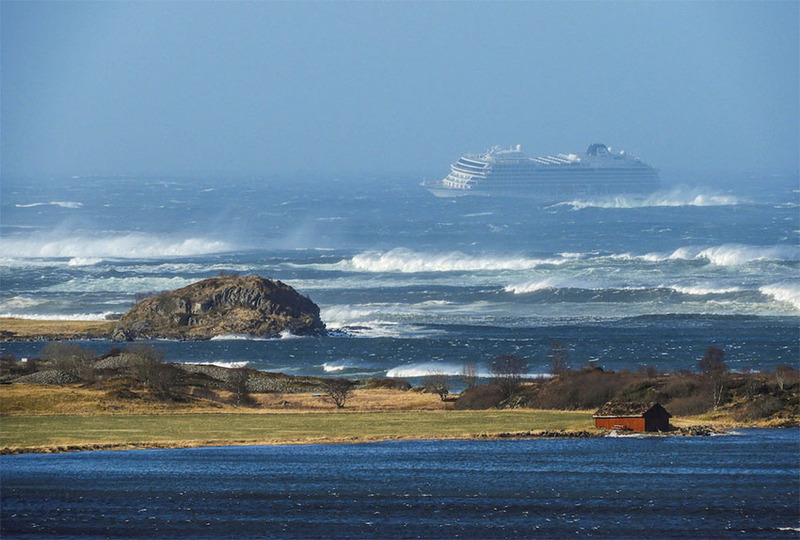 The Viking Sky cruise ship, which has been in trouble on the west coast due to engine failure since Saturday, has successfully sailed to the port of Molde. At that time, there were still about 900 passengers on board, while about 500 of them had already been rescued from helicopters. The ship with 1,373 passengers on board was sailing from Tromso in the north of Norway, when engines turned off at the rough seas near the More og Romsdal city. The sea began to move the ship towards the rocky coast, which is considered one of the most dangerous coastal areas in Norway. During the night, crew managed to run three of the four engines in very demanding weather conditions, so they could stop the rocking of the ship and avoided sharp shore on the coast. The rescue teams evacuated passengers only with helicopters, as the sea was rough with more than seven meters (23 ft) high waves. About 20 passengers had to be taken to the hospital, but serious injuries were not reported. Now a video from a helemt of rescuer from a helicopter landed on the web, when he was rescuing passengers on board the Viking Sky cruiser. In a dramatic video we can see how the rescue took place through his eyes when the cruiser struggled with the turbulent sea and bad weather. Well done to rescuers for the courage to save people's lives in such a difficult situation!